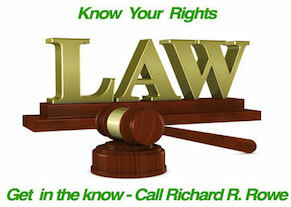 Social Security Disability :: New York City Social Security Disability Lawyer Richard R. Rowe, P.C. If you are beginning the process of submitting an application for Social Security Disability Income (SSDI) or Supplemental Security Income (SSI) or if you’ve been denied, the Law Office Of Richard R. Rowe, P.C. can help. Social Security Disability is part of the Old-Age, Survivors, and Disability Insurance Act. The original law was passed in 1935 during the Great Depression to assist those suffering from the problems related to modern life, helping the aged, widows, fatherless children. In 1956 the law was amended to include those individuals who became disabled. Individuals pay into the Social Security System a through payroll tax in anticipation of receiving benefits when they reach retirement age. What many people do not know is if they become disabled before retirement age they may be able to collect their retirement benefits early as disability benefits. If you are found to be entitled and you remain disabled then you will receive these benefits, with any cost of living increases, for the rest of your life. In addition, two years after the first month you are entitled to monetary benefits you become eligible for Medicare. In order to be eligible claimants must meet both non-medical and medical requirement. The non-medical requirement is that you must be insured for benefits. In order to be insured for disability benefits you must be both fully insured and currently insured. Fully insured means that you have worked enough to have paid enough into the system over your entire life to have earned the required amount of quarters of coverage. Currently insured means having paid enough within the ten year period that encompasses your date of disablement. If you do not meet both requirements, then you are not eligible no matter how disabled you are. The medical requirement is that you either have been or are expected to be totally disabled for a period of twelve months or longer, or that you have a disability expected to end in death. The definition of total disability varies from person to person taking into account your age, education and work background, as well as your physical and psychological disabilities. Supplemental Security Income (SSI) is a benefit for individuals who either did not pay into the system or paid very little and who are of retirement age or disabled as well as poor. The medical requirement for disability is the same as for SSD. If you are seeking a Social Security Disability Lawyer in Suffolk County, New York for guidance please contact the Law Office Of Richard R. Rowe, P.C. for a free consultation.